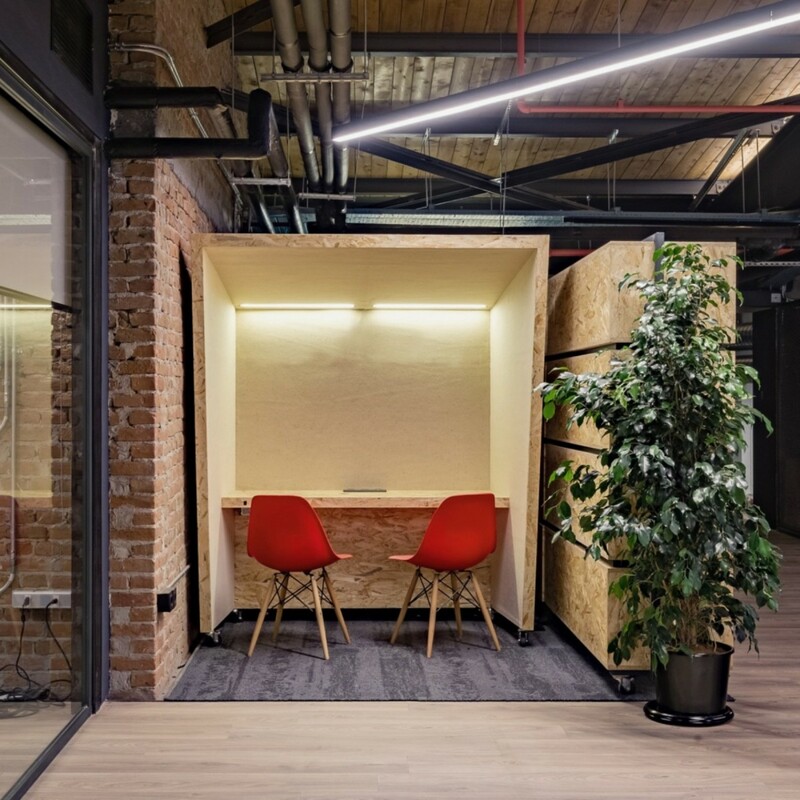 Phonebooth is designed to create a semi-private spaces within common workspaces. 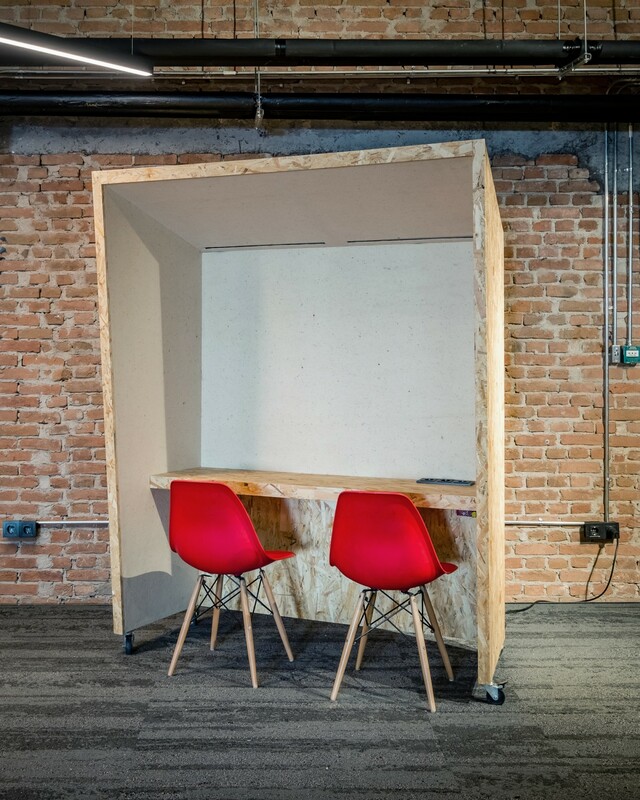 Recycled OSB is used for the exterior surfaces, whereas natural felt and sound absorbing sponge assist in acoustic isolation for focused work or skype meetings. Power outlets on its desk are perfect for that battery-sogging laptop, and the light above helps when the surrounding space is dark.